The perfect way to say 'I love you'! This Joma Jewellery bracelet is presented on a gift card that reads 'Wear this little moon every day, a reminder that I love you in every way'. 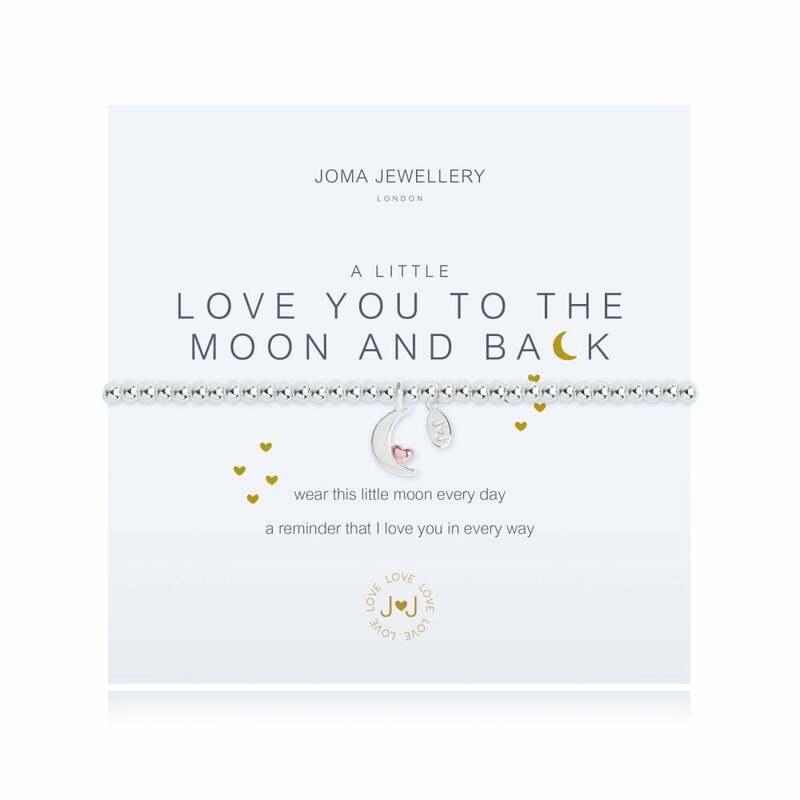 Sometimes, words just aren't enough to tell that special someone just how much you love them, and the A Little Love You To The Moon And Back bracelet from Joma Jewellery is perfect for these moments. With a delicate, silver crescent moon charm, and a tiny rose gold heart placed on top of it, this bracelet is the perfect way to express your love! Please keep your item dry at all times and away from perfume and body creams in order to preserve any plating and to ensure your piece lives a long and beautiful life. Adult size bracelet. 17cm length.